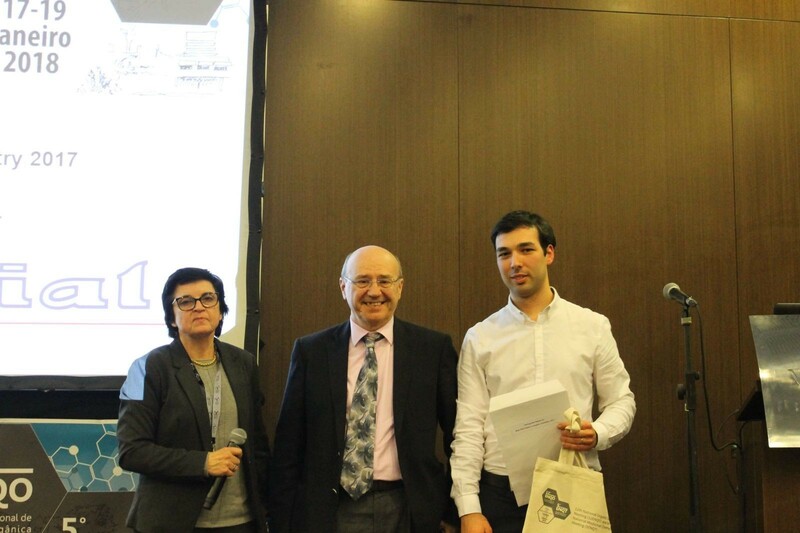 Saúl Silva, PhD student at ITQB NOVA Chris Maycock Lab, was the winner of the Portuguese Award for Best PhD Thesis in Organic Chemistry 2017 with his work on "Aziridines and their asymmetric conversion to bioactive compounds: Approaches to Terpestacin, Oseltamivir and analogues". Portuguese Award for Best PhD Thesis in Organic Chemistry is a prize created by the Organic Chemistry Division of the Portuguese Chemical Society (SPQ), sponsored by BIAL, that seeks to recognize the scientific merit of doctorates carried out mainly in national institutions. The award was given in a cerimony during 12º Encontro Nacional de Química Orgânica and 5º Encontro Nacional de Química Terapêutica, in Coimbra. "My thesis focused in the development of new synthetic methodologies, such as a new method for the preparation of optically active aziridines and their transformation into influenza antiviral drugs oseltamivir (Tamiflu) and tamiphosphor. ", reported Saúl Silva. "The developed synthesis of these drugs may provide a contribution to medicinal chemistry, making available new routes for different molecules with potential antiviral activity. All the described transformations and strategies are tools available to synthetic chemists for the preparation of compounds of interest."